The Pelican 1447 Top Loader Case has more than 2,000 cubic inches of possible storage space and features a unique top loading design that gives immediate, easy access to its contents. 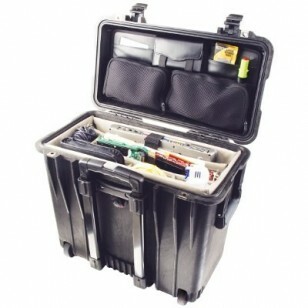 Unlike the standard 1440 model, the Pelican Case 1447 features a padded office divider set and lid organizer. 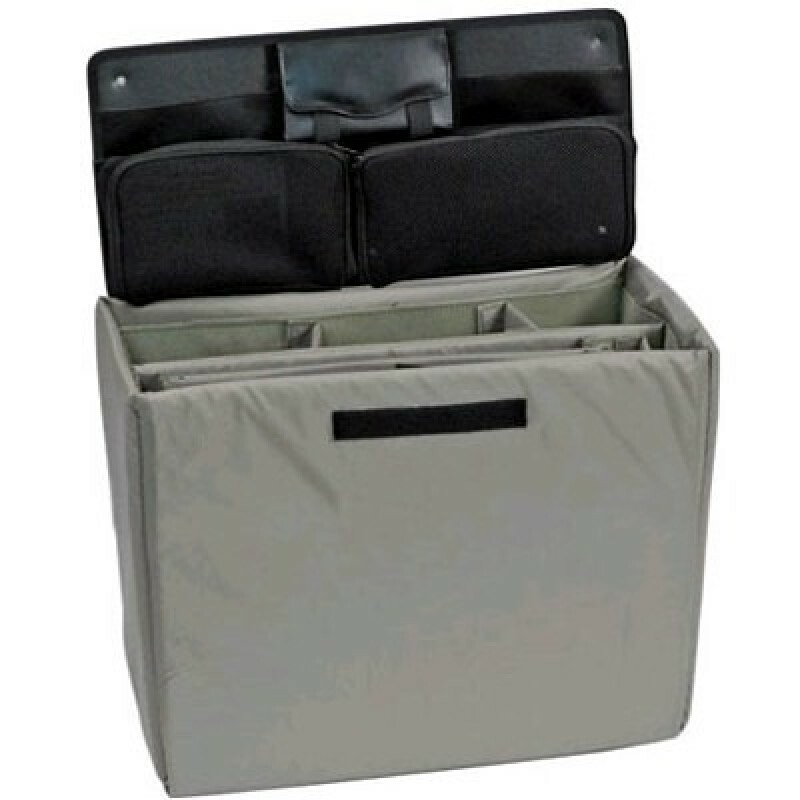 The lid organizer contains assorted pockets for accessories. The padded divider set also contains the perfect pocket for storing your laptop computer. Perfect for use as a rolling office or a rolling briefcase! Standard features include stainless steel, ball-bearing, polyurethane wheels; an extra-long, telescoping, metal handle for easy transport; and rubberized top and side grips for maximum comfort. 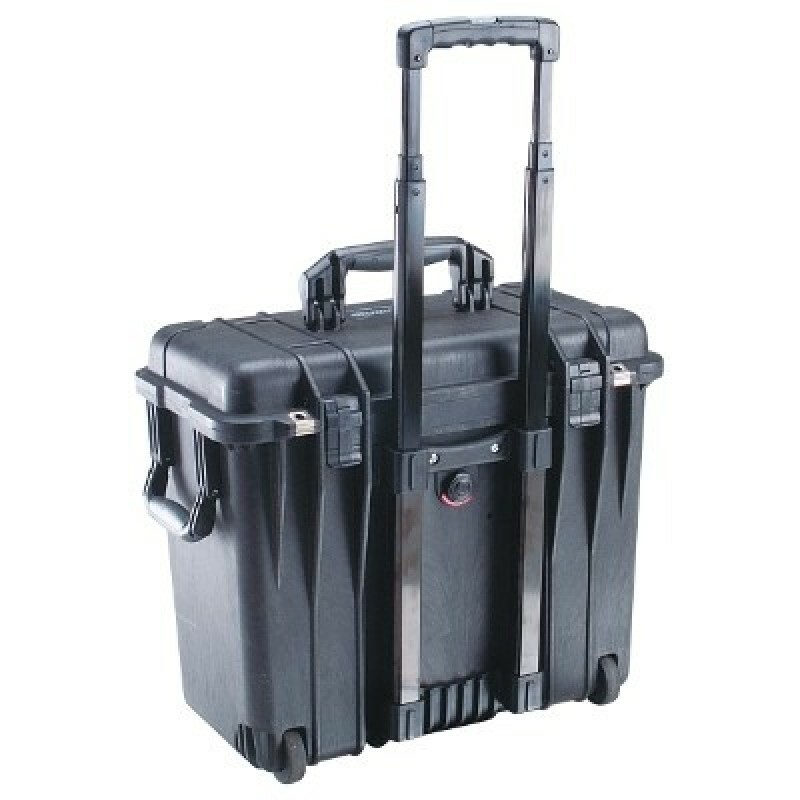 The case also features stainless steel reinforced padlock protectors for added defense against cutting and theft. Also available as an optional accessory is the TSA Accepted PeliLock, which airport personnel (who have special access keys) won’t need to cut for security inspections. 17.10" x 7.50" x 16.00"
19.70" x 12.00" x 18.00"